The PPP is a “one‐stop‐shop” for all trade related business and administrative processes that will link stakeholders into a seamless digital network where business can be conducted. The trade facilitation system (TFS) is an example of a successful public-private partnership. USAID's Economic Prosperity Initiative (EPI), and its partners joined forces to establish a fully digital and web-based “one-stop-shop” for all trade-related business and administrative processes. As a result, the TFS will be launched in 2015 and will link all major stakeholders (customs, revenue services, inspections, railroad, airports, shippers, carriers, warehousemen, freight forwarders, etc.) into a seamless digital network where business is conducted. It will harmonize the electronic flow of information among key participants in the Georgian logistics, shipping, and transport industries, public and private, resulting in increased efficiency in service provision and greater international competitiveness in the transport and logistics sector. As confirmed by an independent evaluation, TFS will have a tremendous impact on trade efficiency, greatly reducing transaction costs and making the country’s ports more attractive as trans-shipment hubs. The combined lifetime value of this two-year public-private partnership amounts to $1.44 million, where $499,300 is the total contribution from private resource partners, and $375,000 is the contribution from the Government of Georgia (GOG). 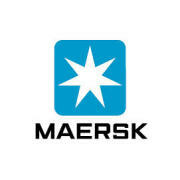 Maersk Group consists of a collection of companies operating within two main industries of shipping and energy. Maersk Group has four core businesses which include Maersk Line, APM Terminals, Maersk Oil and Maersk Drilling. 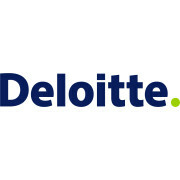 Through these companies and several others, the group employs roughly 89,000 people, and generated 47 billion US dollars in revenue in 2013. As a group, our business success is built on a number of strengths: our size and global reach, our financial strength, our talented employees, our time-honoured values, our approach to sustainability and our drive to innovate. Combined, these strengths form a unique platform for our continued success and future growth. With over a century of success behind us, Maersk Group is clearly in business for the long term. Ultimately, it is that long-term perspective that guides our investment choices, as it guides so many other aspects of our work. Maersk Line is the Group’s largest business unit in terms of revenue and the world’s leading container shipping company. Maersk Line is a customer-focused leader in reliable and eco-efficient global transport. Maersk Oil is an international oil and gas company with roots in the North Sea going 50 years back in time, now with operations worldwide. Maersk Oil is active in the oil and gas value chain from exploration to production both onshore and offshore. APM Terminals has its core expertise in the development. Construction and operation of port and cargo inland services with global terminal network including 65 operating port facilities in 40 countries and inland services operations in over 160 location in 47 countries.